Yesterday I started a pull-up progression plan that will help me reach my 90 day challenge. Following this plan, my goal is to be able to do 1 strict pull-up in 30 days, 2 strict pull-ups in 60 days, and then to be able to do 3 strict pull-ups by the end of my 90 day challenge. Yesterday I got to choose between 8-12 reps of assisted pull-ups using a band for three sets; or 8-12 reps of jumping negatives using a box for three sets. Based on some suggestions from one of the trainers and another client, I did the jumping negatives. As I mentioned yesterday in my post, it was hard and I really doubted myself, but I finished it. Today was day 2 of the plan and I had to do 5 sets of 15 second active hang on bar followed by 5 challenging ring rows with a two second hold at the top. What I learned is this is definitely taking me outside my comfort zone, and it's definitely going to be a challenge. But, I don't plan on giving up because this is something that I really want to accomplish. I posted my goals out on our FT Client page, but I wanted to post here and do a daily update for two reasons. One, by putting it out there for everyone to know, I'll have more accountability knowing people will be looking for what I'm doing. Two, I'm going to need all the support and encouragement I can get. Also, I figured there might be others who want to follow the plan as well. So, if you want to join in on the challenge and follow the plan, I'll be posting every day what the plan is instructing to do. There will be something to do Monday through Saturday. The plan suggests a minimum of 4 days a week to train, but recommends 5-7. I'm following the plan where I will train 6 days a week having Sunday as a rest day. Tomorrow morning I'll post what we will do for day 3 so keep an eye out for it. Do you want or need that accountability? Post up that you're going to do the challenge, email me at sherrie_bullock@ymail.com, or message me on FB and I'll make sure to check in on you to see how you're doing. 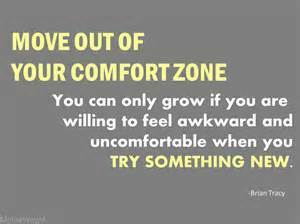 Remember, getting out of your comfort zone is the only way to grow and improve! I'm not going to reach my goals if I don't have a plan and stick with it!